In November 2010 the RAC Foundation published a report – Effectiveness of Speed Cameras – by Professor Richard Allsop of University College London which reviewed available literature to make an assessment on the benefit or otherwise they had on road safety. At that time the conclusion was that cameras cut the number of people being killed or seriously injured on Britain’s roads each year by about 800. In June 2013 the Foundation published further work (updated in November 2013 and March 2019) by Professor Allsop which was intended as a guide to help those people attempting to interpret speed camera data which councils are now obliged to release in the interests of transparency. “The 2010 report was a review of evidence then available as a contribution to a high-profile professional and political debate about the use of speed cameras. In that context it was relevant to estimate the number of deaths or serious injuries being prevented per year nationally by the use of cameras, and the resulting estimate was about 800 per year. “The 2013 analysis had no such aim, and was carried out in the course of developing advice for users of the extensive data published in 2011 in the interests of transparency about collisions in the vicinity of speed cameras. “But it is interesting and fair to ask how different the estimate made in 2010 might have been if results like those of the 2013 analysis had been available then, and what the corresponding estimate might be for today’s conditions. “The answer is that alongside the estimate of about 800 made by the method available in 2010 would have been set a second estimate, made differently, of about 420. In interpreting these two different estimates, greater weight would have been given to the lower estimate because it stemmed from more powerful analysis of more extensive data, but the higher estimate would still have been taken into account because it stemmed logically from different data and analysis. If national coverage of speed cameras today is broadly similar to that of 2010, the corresponding estimates for today’s conditions are about 750 and 390. “In considering the discrepancy between the two estimates, it should first be recognised that neither is based on data that is statistically representative of the whole range of camera sites nationally. Secondly, the information from the 2013 analysis affects only one part of the analysis leading to the 2010 estimate of 800. Other parts of the analysis remain unaltered, and in particular in respect of allowance for regression to the mean the outcome of the 2013 analysis and judgement is confirmed by the 2013 findings. The extrapolation to today’s conditions depends on the rather strong assumption about the coverage of speed cameras; it is based simply on there being about 8 per cent fewer road deaths or serious injuries nationally in the year ending June 2013 (the latest for which provisional data is available at the time of writing) than in the year ending March 2010 on which the 2010 estimate was based. “The affected part of the 2010 analysis is the indication, from a combination of analysis and judgement, that after allowing for trend and regression to the mean cameras were reducing the number of people killed or seriously injured in their vicinity by about 43 per cent. The 2013 analysis in its updated form estimated this percentage to be about 22, which reduces the estimate of about 800 to about 420. “The two analyses were based on data from different sensibly mixed but not statistically representative sets of road safety partnerships, 12 in 2010 and 9 in 2013, with only 3 partnerships common to the two sets. The 2010 set was chosen on grounds of availability of data at short notice and the 2013 set on grounds of ease of downloading of the data published on partnership websites in 2011. This could be expected to lead to an appreciable difference between the resulting estimates, but probably not such a large difference as has arisen. The two studies also differ in that the 2010 analysis is of numbers of casualties killed or seriously injuredwhile the 2013 analysis is of numbers of fatal or serious collisions, but this may not have contributed much to the difference because the 2013 analysis indicates that cameras may have little effect on the average number of fatal or serious casualties per fatal or serious collision. “The only definitive way to resolve the discrepancy would be to make a comprehensive analysis on the 2010 and 2013 lines of data in the form published in 2011 from all or a sizeable random sample of the partnerships in England or, preferably, Great Britain. To extrapolate reliably to today’s conditions, comprehensive information would also need to be assembled about current speed camera coverage compared with coverage in 2010. All this would require substantially greater resources than were required for either the 2010 or the 2013 studies. The text below accompanied the original publication of the Effectiveness of Speed Cameras in 2010. Eight hundred more people could be killed or seriously injured each year on Britain’s roads if all the fixed and mobile speed cameras operational before the road safety grant was cut in summer 2010 were to be decommissioned. 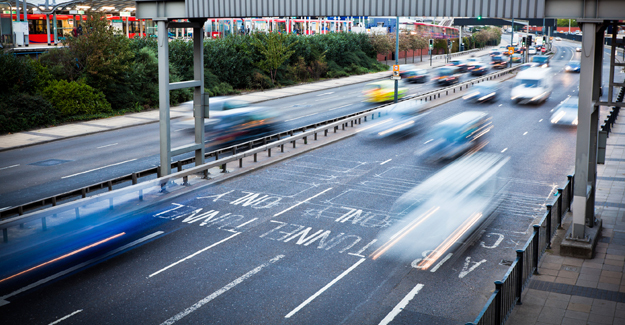 The true scale of the benefits of speed cameras are detailed in a new report by Professor Richard Allsop of University College London for the RAC Foundation. In light of the findings the RAC Foundation is sending a copy of the report to every highway authority in the country as they consider how best to spend their reduced road safety budgets. Professor Allsop says speed cameras have offered continuing road safety benefits since their widespread introduction between 2001 and 2005. These benefits, Professor Allsop concludes, are not just to be found at camera sites but across the wider road network. He also points out that a large majority of the public have consistently backed the use of cameras. And he dispels the myth that penalties generated by cameras are a significant source of revenue, showing that in 2007 just £4 out of every £60 raised in penalties was net income to the Treasury and there was no surplus for local authorities or the police. In December 2011 Professor Allsop’s work was honoured with a Prince Michael International Road Safety Award.